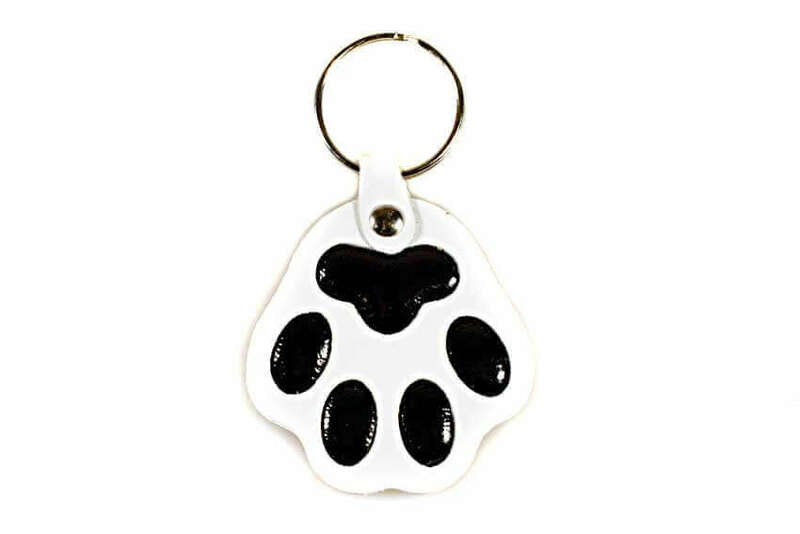 Leather paw key ring from Dog Moda in white and black patent leather. 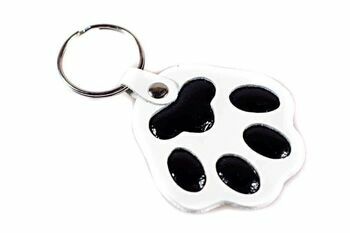 Our key chains make great Christmas stocking fillers or are an inexpensive but thoughtful gift guaranteed to appeal to all dog lovers. Popular with our clients, leather paw key rings are also often used as bag and collar charms, as well as prizes at go shows. 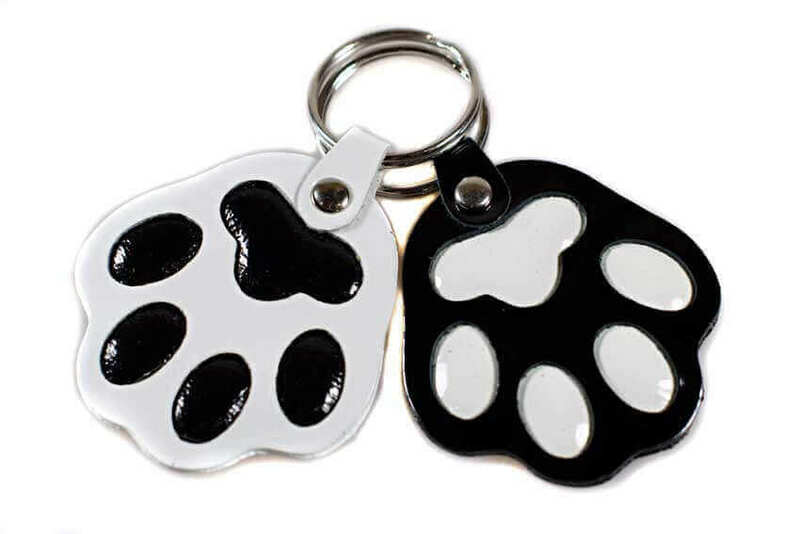 Dog paw key ring is made from real patent white and black leather and finished with stainless steel split ring. Available in a range of colours. Please browse through Dog Moda website to see the full colour range.